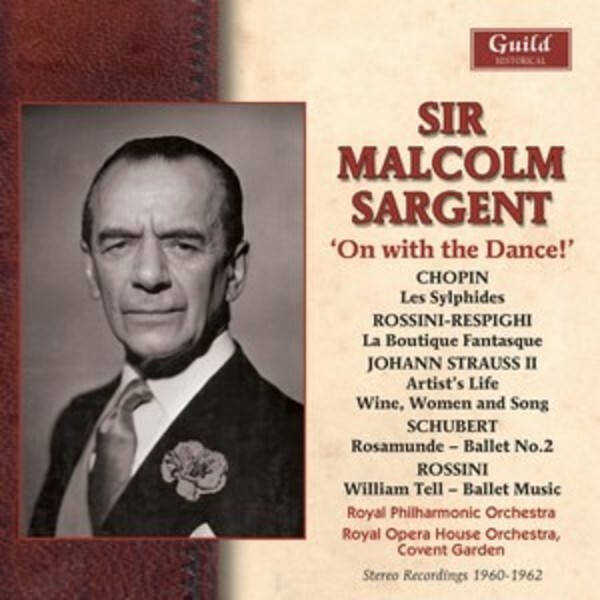 In recent years, the appreciation of the great British conductor Sir Malcolm Sargent (1895-1967) has grown considerably, with the release of many of his best recordings, notably in the Guild Historic series. This new and very well-filled compilation shows Sargent in a rather different light from that with which he was often heard - music associated with dance, from ballet to opera and the concert hall. This wide-ranging collection of classical dance music, beautifully recorded in stereo, shows Sargent to be equally at home in the concert waltzes of Johann Strauss, alongside various complete ballet suites and other tracks � all given with a superb sense of style as only Sargent could bring to this music.